Simplicity is a flexible display solution that can be entirely adapted to your needs. The display is built in modules with wall plates and colour chips compartments that can be adjusted to the A8, A9 and NCS Cascade formats. You choose the design that suits you the best, depending on the space available and the size of your colour range. 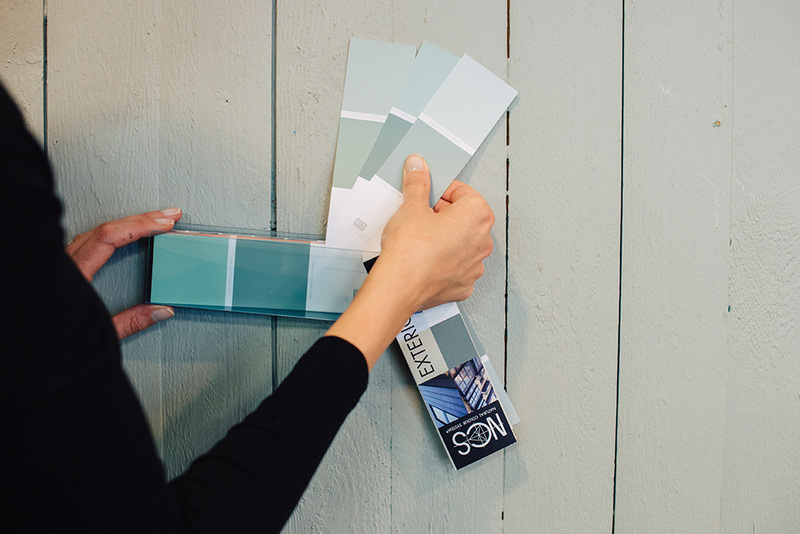 For a more creative design, you can mix the sizes of colour chips and combine colour ranges according to current interior colour trends. For those who want a ready-made solution, there is the 980 Cascade Simplicity. A complete display solution filled with 980 specially-selected colours for interior colourisation, covering the best-selling and most requested colour areas, with a visually-even spread across the NCS system. To complement this, we recommend the NCS Cascade 980 colour fan deck for simple navigation and colour guidance. Interested in a wall display? 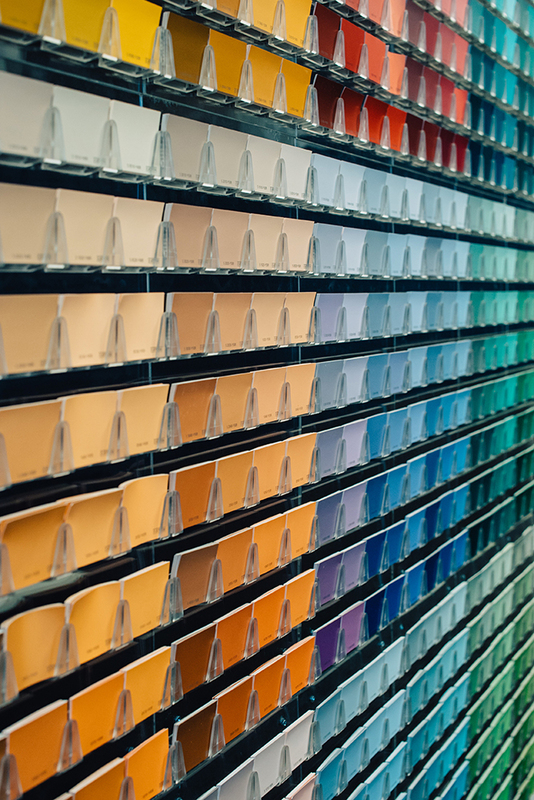 NCS colour chips are perfect for use in shops where the customer needs colour references for inspiration and to support purchasing decisions. Buy loose chips and use as giveaways or to fill your wall display.